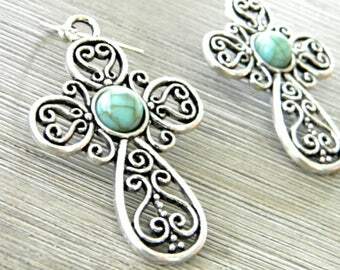 Purple stone cross beads hang from silver colored ear wire. 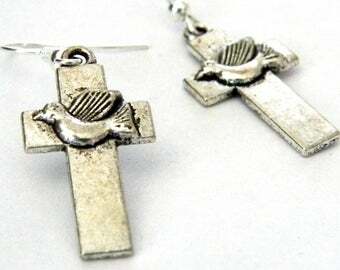 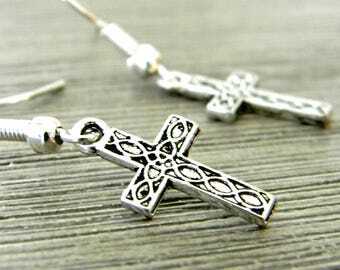 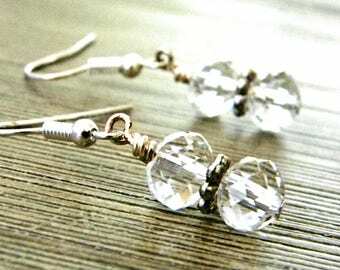 The cross earrings are about 1.5 inches long. 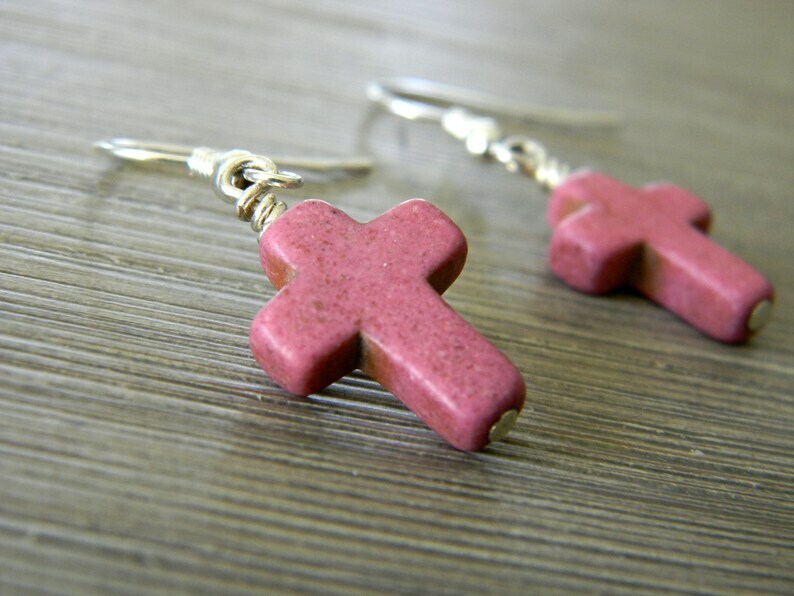 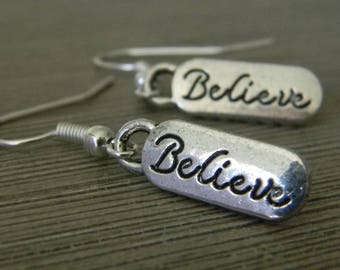 Great way to express your faith!